Ahhhh, Wheel of Fortune. How I loved that show when I was a kid. Was it the spinning of a giant wheel, or the chance of winning a fortune? The spinning of a giant wheel does have some child-like appeal. 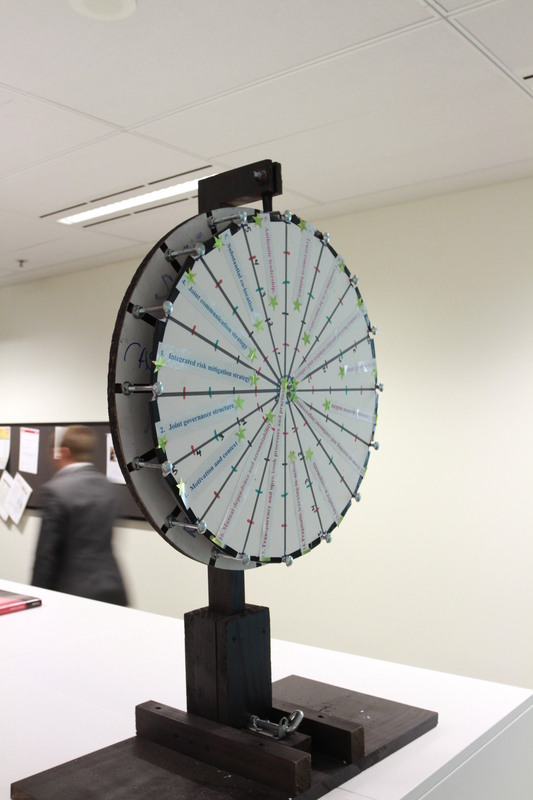 And it seems I’m not the only one that feels that way, because Nat Gorman, sent us this – his Wheel of Collaborative Project Procurement Arrangements. Dr Derek Walker’s book, Collaborative Project Procurement Arrangements identifies 16 behaviours and practices that lead to greater collaboration and thus better outcomes for projects. 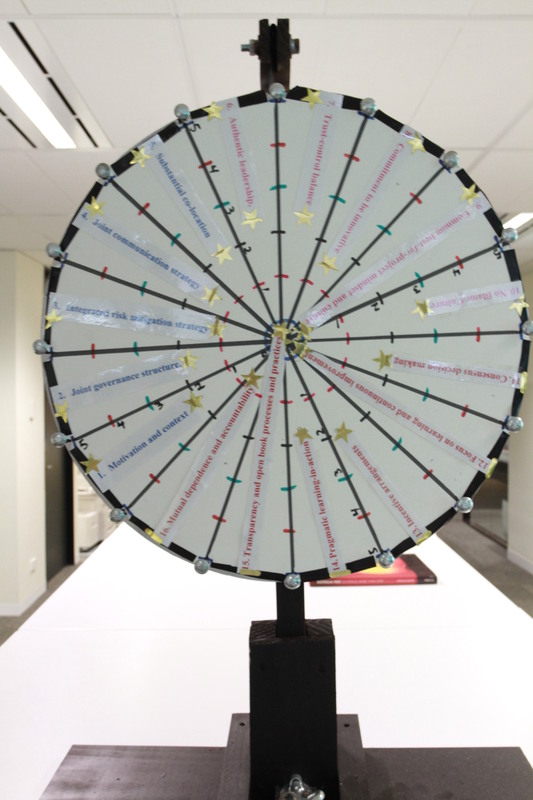 Nat and his team use the wheel to provide a focus for some of their continuous improvement work. This spinning mechanism itself looks like it required some serious hacking, but also could easily be repurposed to easily create other wheels.